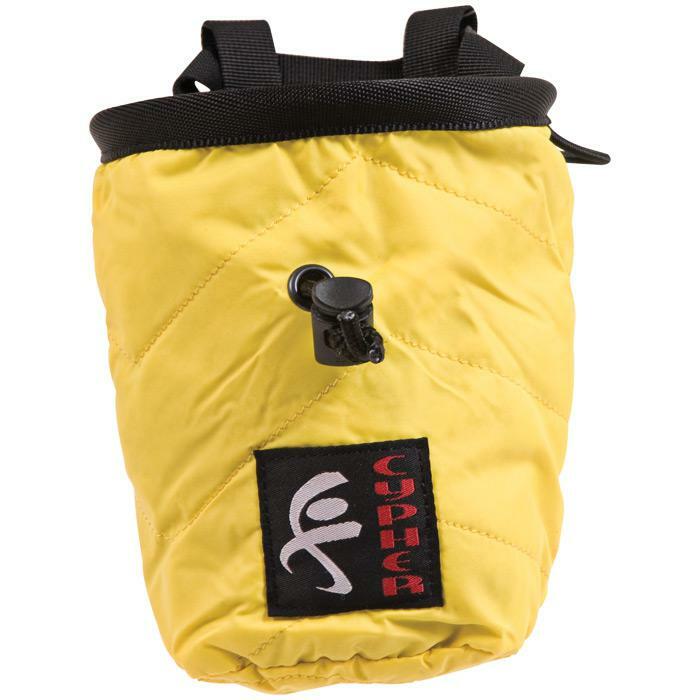 Cypher chalk bags offer easy access to your chalk and stylish design. They feature a stiff brim for easy access, fleece lining, brush holder, and a webbing belt with side release buckle. 6.5" tall x 4.5" diameter.